Distance Measurement Sensors | Ultrasonic Sensors | Migatron Corp.
Migatron ultrasonic sensors can precisely measure the distance to a target object. Among the advantages of ultrasonic sensors over traditional sensors is the ability to detect and measure moving objects. Ultrasonic sensors are not affected by the color of the object and they can detect small objects over long distances. Ultrasonic sensors can measure the distance to a wide range of objects regardless of shape, color or surface texture. They are also able to measure an approaching or receding object. By using “non-contact” ultrasonic sensors, distances can be measured without damage to the object. They’re easy to use and, in many cases, can be used in place of other traditional sensors when the environmental conditions make traditional sensors unusable. 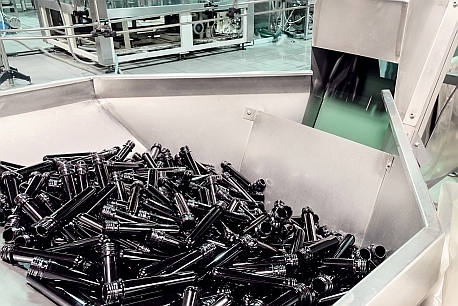 Migatron ultrasonic sensors can detect the distances to a variety of objects ranging from small spheres to large rolls of steel, and from bulk material on a conveyor belt to the liquid level in a storage tank and countless other distance measurements applications that need an ultrasonic sensor to get the job done. 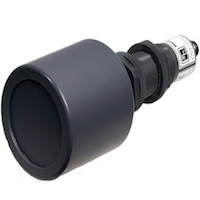 Ultrasonic distance measurement sensors are used in a wide array of industries like petroleum, chemical and manufacturing. Some examples of industry uses are roll diameter (either wind or unwind), bulk material conveyors and hopper/feeder level control. 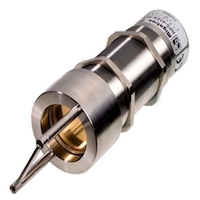 We have decades of experience manufacturing rugged and reliable ultrasonic sensors, which has helped our clients integrate ultrasonic sensors into a wide variety of sensor applications. 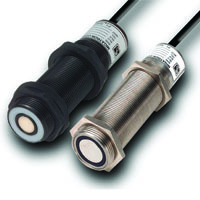 Please contact us and we’ll help you find the appropriate sensor for your distance measurement application.